1. 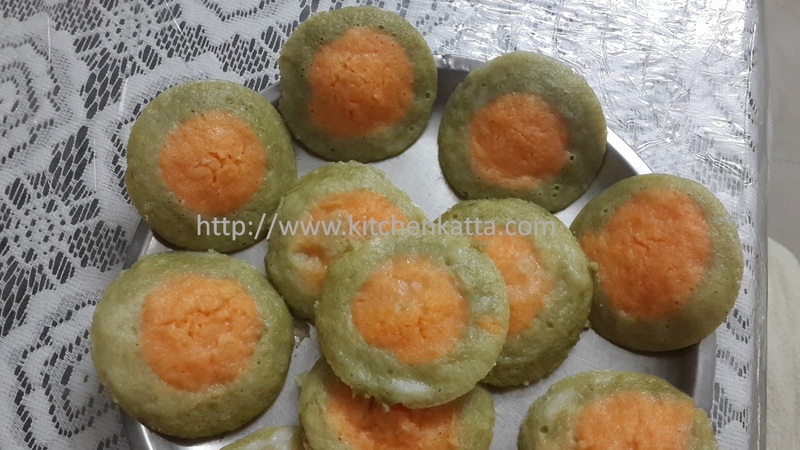 For idli batter, soak idli rice & fenugreek seeds together in water over night or 7-8 hours. Soak urad daal separately over night or 7-8 hours. 2. Grind the rice, fenugreek seeds and urad daal to a soft paste using very little water. Mix all together in circular motions using a long spoon. Paste should be of dropping consistency. Rest 7-8 hours for fermentation. 4. Peel and cut carrot into pieces and grind to smooth paste. 5. Grind spinach also to smooth paste separately. 7. Make a idli mold/cooker ready. 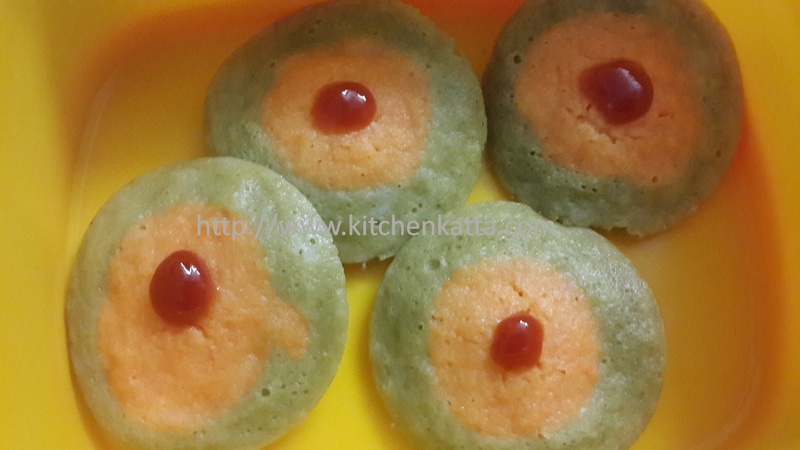 Now pour a ladle of green batter in each idli mold, little less to completely cover the mold. Now gently pour the orange batter in the center. Repeat for other idlis. 1. With 15th August around and everything turning tri-color, you can also make tri colur idlis with this batter by adding white batter in between green and orange ring! !